Many of these parts were found on 'works' cars and are sought after by owners of vehicles who are rebuilding their pride and joy. If you have any of the following, please get in touch, we can always find new homes for them! Cash always waiting for good parts. 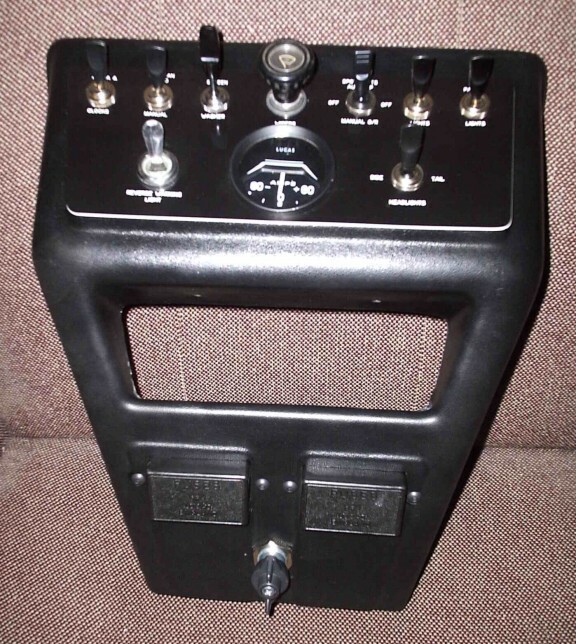 However, if you require a similar item, please let us know and we will do our best to locate it for you. 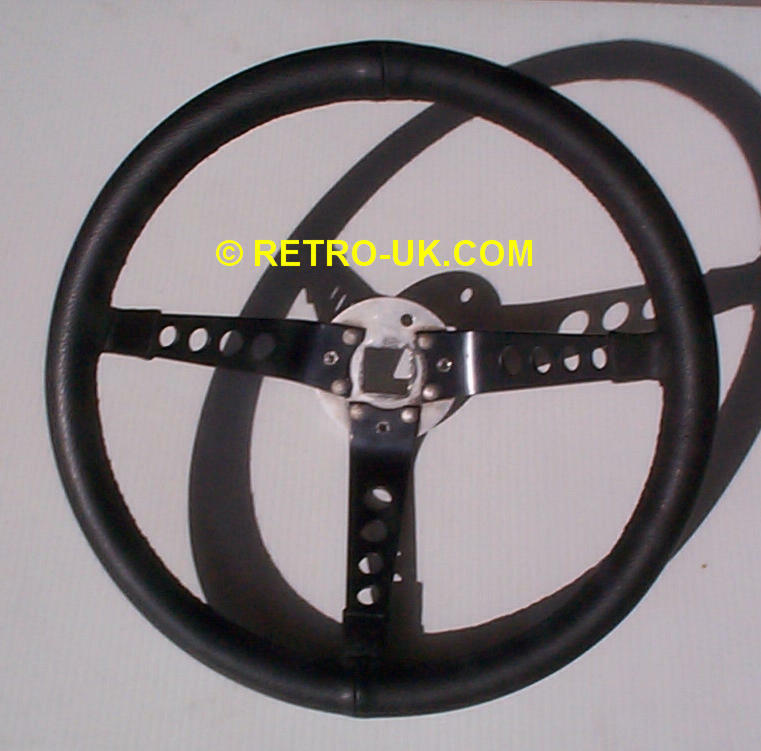 This is an early wheel with vinyl grip and alloy spokes, the unmistakable Springalex shape is there though! 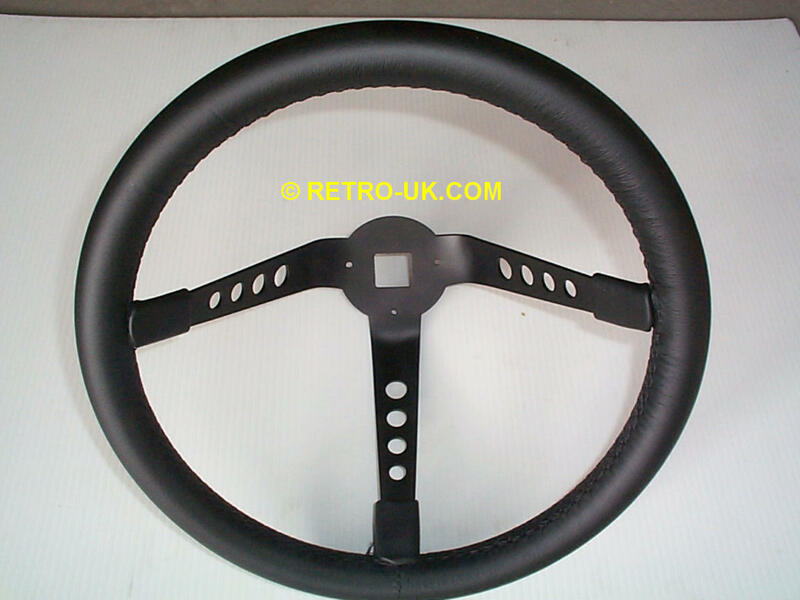 This is a wheel with leather grip and black alloy spokes, this wheel has just been recovered as the leather was totally shot after years of hard work! 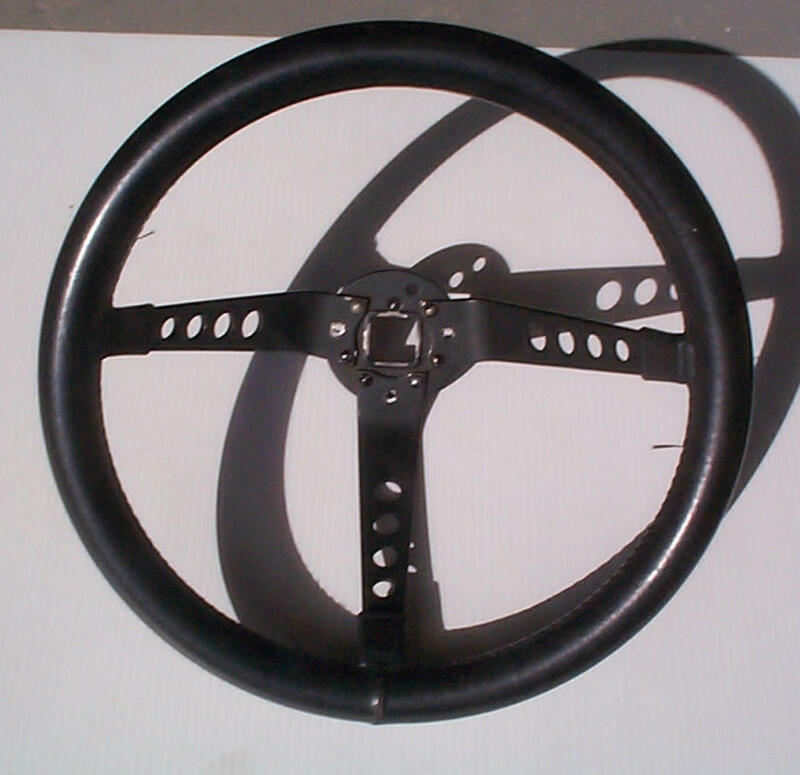 This is later wheel with leather grip and black alloy spokes, this wheel is slightly deeper than above. As above but with thicker grip and even deeper dish. 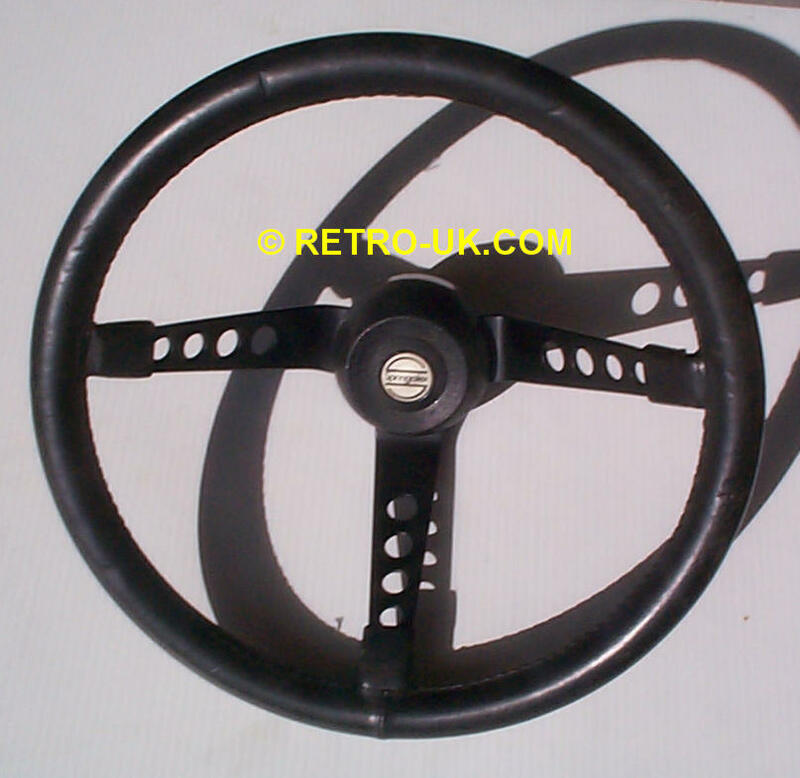 21st Century 'AVO' type steering wheel. Note that the spokes are cut from a single piece of steel. I've now found six different types of the early ones and there are several of the later one piece type, all with different centre discs. I've had them re-produced and I'm very happy with the results! 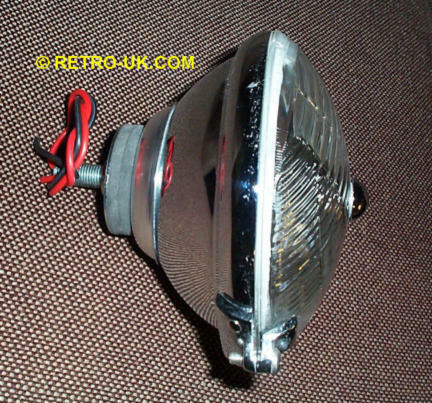 Cibie Oscar lamps with the metal grills fitted - used by the Works Escorts on their lower lamps - even harder to find in good condition than the ones above! 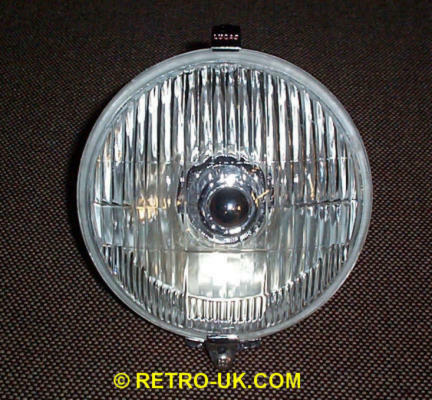 Cibie Biode 7" headlamps lamps - used by the Works Escorts once the rectangular lamp was found to be pretty hopeless! 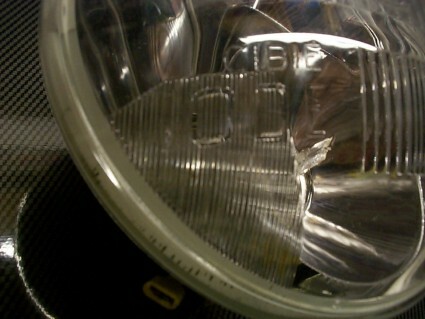 This lamp has a secondary reflector unit - hence the name'bi'ode. 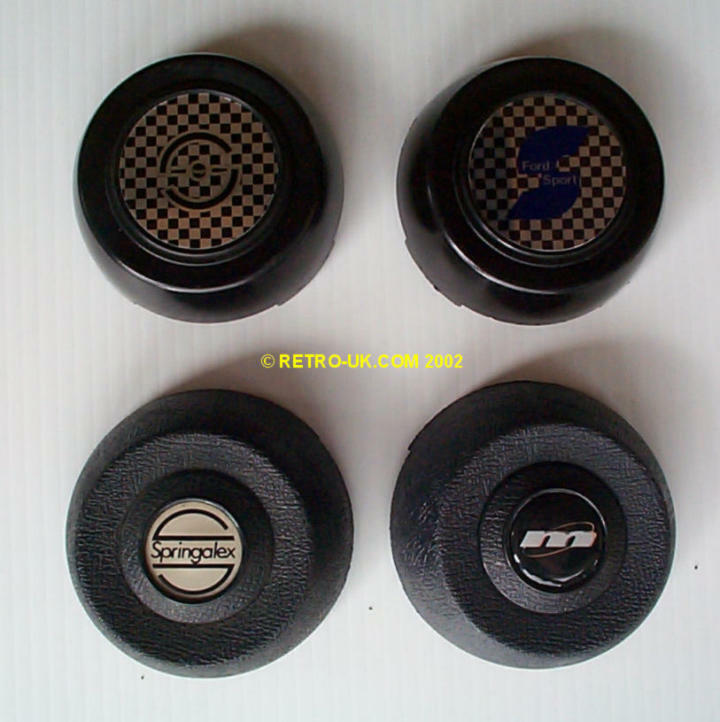 Getting hard to find - no self respecting works replica is complete without a set! 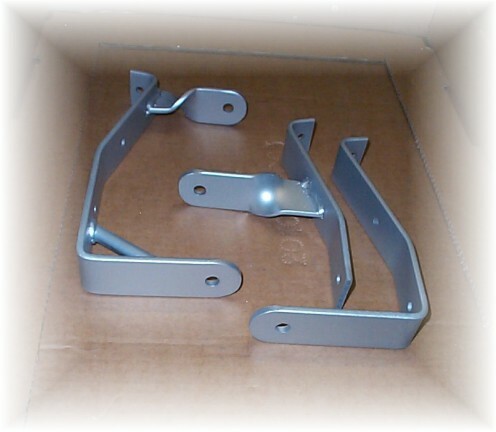 Various steel lamp brackets available from Ford RS dealers in the 70s. 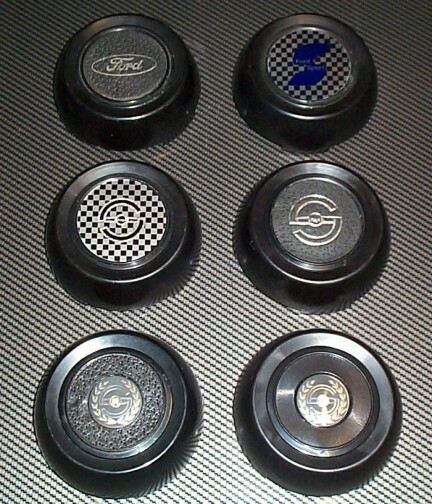 These were all used by the Works Escorts prior to the alloy version being used. 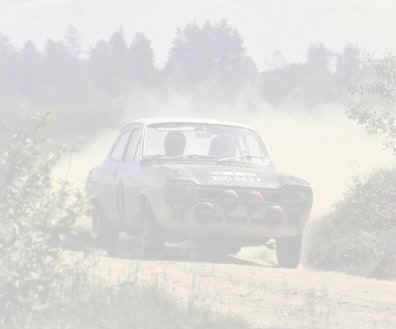 The cheaper copy of the 'Tech-Del' magnesium version used on the works cars. At least these would still stand a good landing, I'm afraid the magnesium will be well past it's best 30 years on! 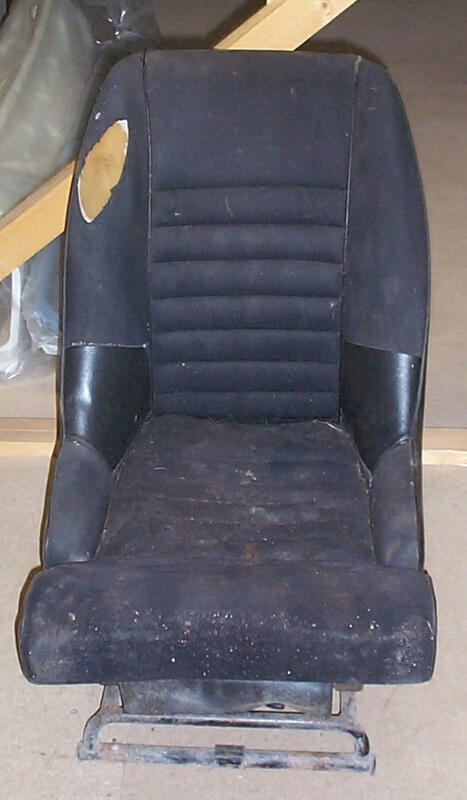 Contour 'Clubman' bucket seat. This sorry looking version has been sat in my store room for years - I didn't know I had it! They were either trimmed in Betacloth or the Airotech (waffle) vinyl and if you are very lucky, come with a strange looking headrest. Not quite exact, but a reasonable reproduction of the 'works' instrument cluster. 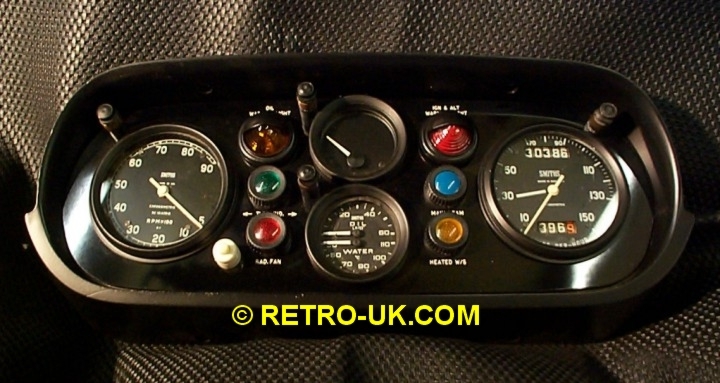 Another reproduction of the 'works' instrument cluster but showing gauges more representative of the ones used on the original works Mk1 Escorts. 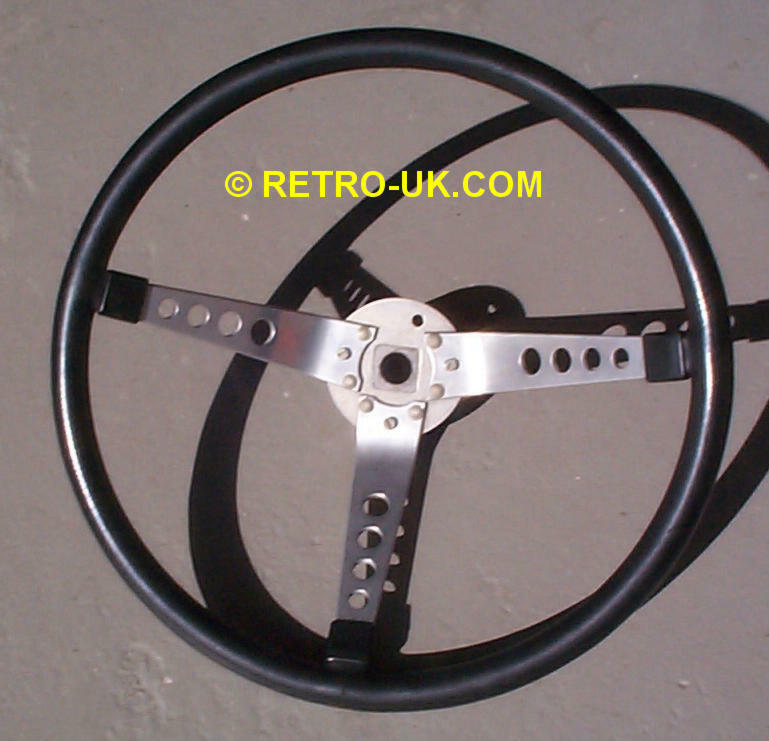 Smiths 80mm Chronometric gauges were used for speedo and tacho and a dual oil pressure/water temp gauge. 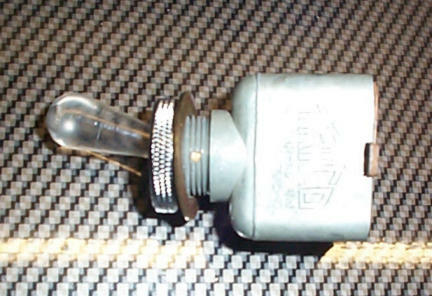 Original aviation 'pea' lights are fitted to illuminate the gauges. 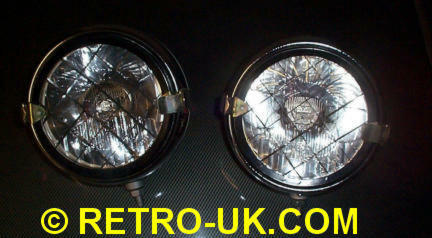 Dash under construction - Finally, we have found some warning lamps which are close to the original ones! 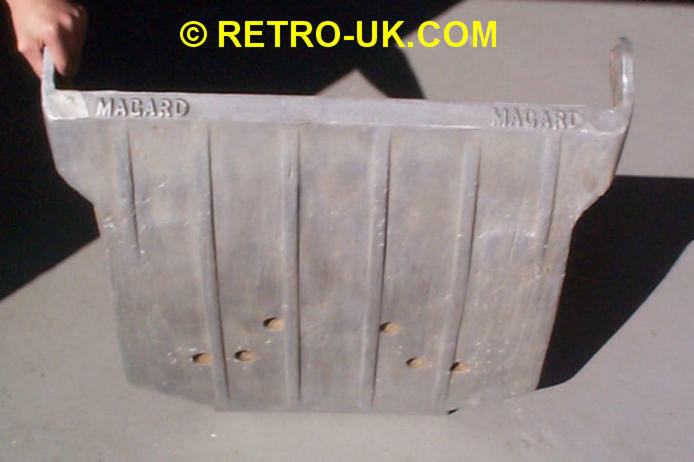 Works type 'long' centre consol - this is a grp copy of the 'Mada' version used in the works cars complete with all proper switches gauges and fuse boxes. 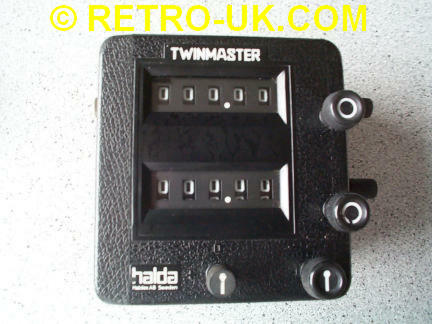 Lucas indicator/sidelamp units as used on many 'works' cars. 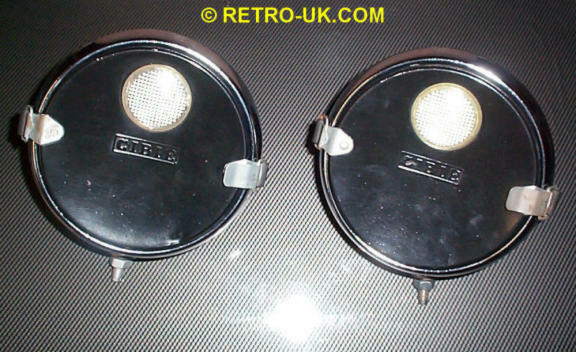 The top ones are the genuine Lucas versions which have metal bodies (both black and chrome) and the bottom image shows the 'Vega' lamp lenses which had black plastic bodies. 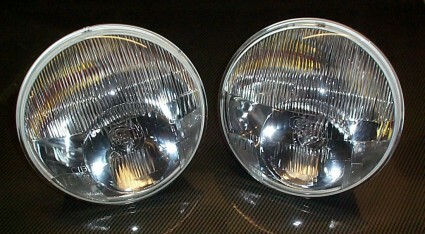 Lucas 576 rear mounted reverse lamp. 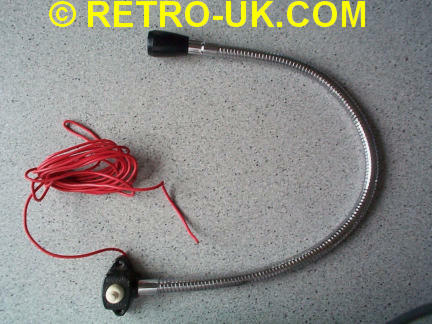 Used on the works cars and favorite with Mini Cooper owners as they were on works Minis too! Check out the 'works' cars link for more info. 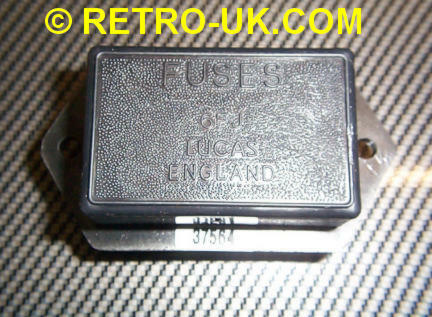 Used as a reverse switch and warning lamp - originally fitted to 60s Jaguars! 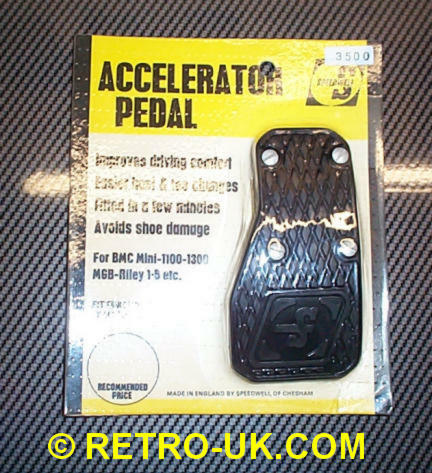 Speedwell accelerator pedal - this is an early plastic version which is brand new and still with the packaging. 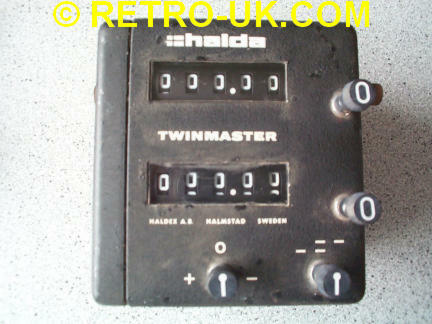 I bet you could have bought one of these from the local 'Rally and Speed shop' in the 60s for less than a pound! 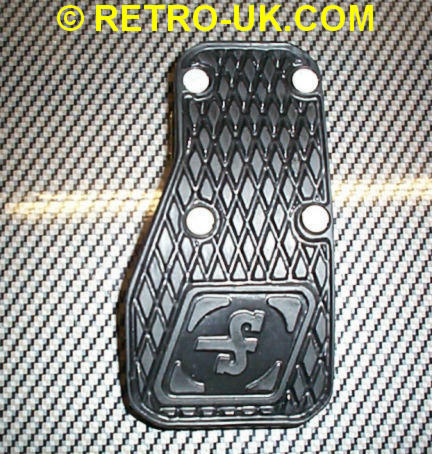 Used on many works cars so the drivers could 'toe and heel' easier. 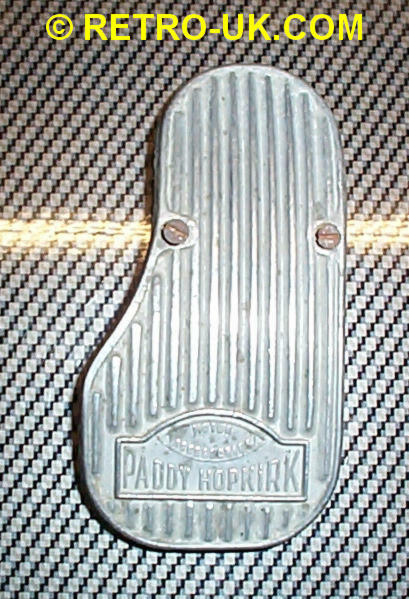 Same idea as Speedwell item but made by Paddy Hopkirk Accessories. 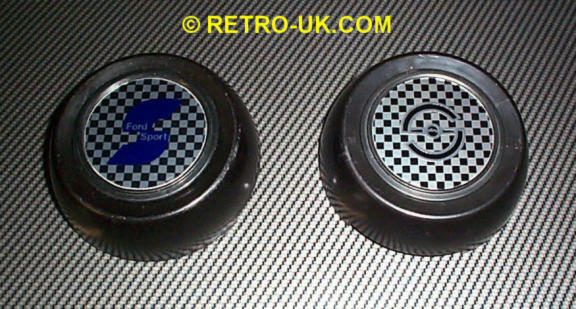 The famous Mini driver had a full range of go faster goodies and were fitted to anything in the 70s! 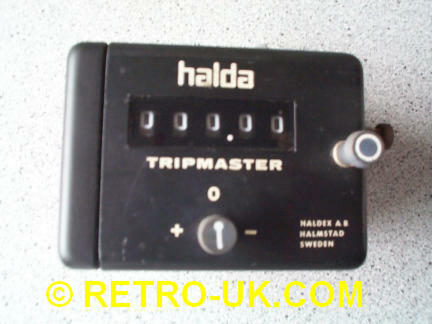 Every rally car in the 60s and 70s had one of these! 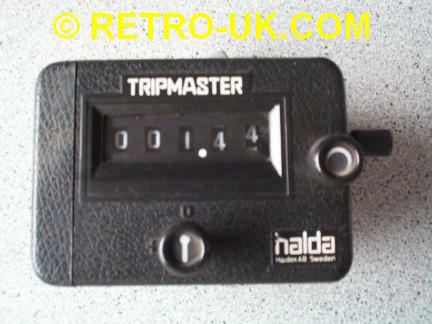 This is the alloy cased version of the famous tripmeter as found on many works cars! This is the plastic cased version - slightly later model, with all the problems ironed out and the case never looks scratched - but not as sought after as the alloy version! 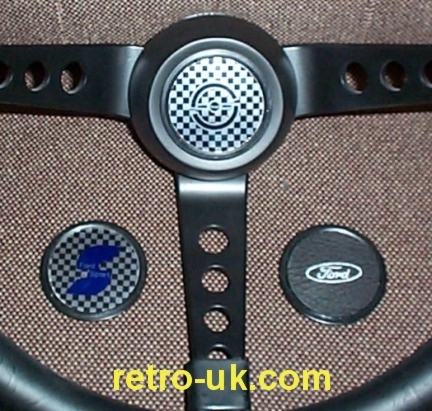 This is the alloy cased version, there are two types, smooth black and wrinkle finish, it is getting very hard to find good ones nowadays - we all threw them away and fitted electronic ones! This is the plastic cased version of the above, again a slightly later model, but not quite as 'original equipment' as the metal bodied ones.